VS2012 Tasks Defaulting to Resolved when you check in. So when you have a task in TFS under My Work that you are actively working on and want to check in some changes but the task is not complete. It defaults to Resolved. Which if you make a quick mistake and don’t set it to associate using the drop down (Fig1) removing the hours remaining value (Scrum Template) from your task and mark it as done. You the have to find your work item again and set it back to in progress to check in further work against it and find out the remaining hours of the task re-inputting the value. A quick fix to this avoiding customising any work item templates is to change an entry under VS in the registry. Obviously this has to be done on each client. But in my experience it is a big pain point and well worth 2 minutes to change (though you may need a restart). Note: This only works if you check in via My Work. Checking in via the solution or pending changes does not work. Here’s a quick tip if you have some side loaded apps on windows 8/RT and your developer licence has expired. When this happens the apps have a cross on them and are unable to open taking you to the store. This will prompt you through the same dialog as when installing your first side loaded app. A developer Licence expires every month so a quick script to bring up this prompt could be handy. Today I ran into an issue on a win RT device when trying to download few folders from our SharePoint site using Explorer. This problem occurred when I used the ‘Open with Explorer’ interface in the Library Tools > Library pane to get the required folders, as I wanted to copy a few folders down from SharePoint onto my Surface. An unexpected error is keeping you from copying this folder. If you continue to receive this error, you can use the error code to search for help with this problem. Error 0x800700DF: The file size exceeds the limit allowance and cannot be saved. The file was only 90MB which seemed strange. Run REGEDIT as admin. One way of achieving this is to bring up the start menu type REGEDIT (type in full to make it appear in the apps search). Right click or pull down gesture to select it and click the run as admin option on the bottom app bar. Then just edit the FileSizeLimitInBytes parameter to the desired amount (it offers a decimal value) and restart your surface. You should now be able to use Explorer with SharePoint to grab those files worth having! Tom Testing His New Blog! Hello, I’m currently setting up my first blog and this is a post to check its configured correctly. All being well this should go to my LinkedIn and Twitter accounts auto-magically . 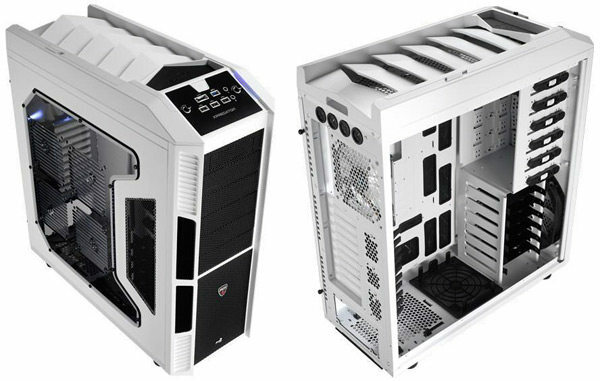 Hopefully I’ll have some useful and interesting stuff coming soon around the MS Technologies and solutions to problems I come across in my role of Software Developer in Test, for now here’s a picture (to make my post prettier) of the case I just bought for my gaming rig.